Pop-soul singer, born January 17, 1956, Luton, Bedfordshire, England. Started out in 'Kool Kat & The Kool Kats' before joining Streetband who had the quirky hit 'Toast'. He then formed The Q Tips in 1979 performing over 700 concerts in the 3 years until going solo in 1982. It was third time lucky as the cover of Marvin Gaye's "Wherever I Lay My Hat" hit No.1 in 1983, which was followed by the album "No Parlez" and established Paul with worldwide success. Paul Young's backing band is named The Royal Family, and his backing vocalists are named The Fabulous Wealthy Tarts. He married Stacey Young (née Smith) in November 1988. Mr. Paul Young is a Genious and an Angel. His Music is on the same Level like Michael Jackson or Sting. His Voice and lyrics are ancient, true and the Visions in Sound are far beyond the regular Pop Soul. He influenced me a lot when i was 8 was listen to his music every day. Today I am happy that he is still alive because someone told me that he died. Get the The Secret Of Association Album from 1984 it´s conceptually perfect and beyond his time like The Dream Of The Blue Turtles from Sting in 1985. 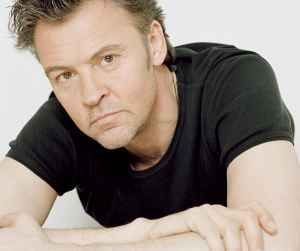 I hope to meet Paul Young once in life or share his music life on stage.